Draft: 2009, San Diego Padres, 8th rd. January 18, 2018 Pericos de Puebla released 1B Nate Freiman. September 4, 2017 Pericos de Puebla activated 1B Nate Freiman. July 14, 2017 Pericos de Puebla placed 1B Nate Freiman on the reserve list. May 20, 2017 Acereros del Norte traded 1B Nate Freiman to Pericos de Puebla for OF Cole Gillespie. May 2, 2017 Acereros del Norte signed free agent 1B Nate Freiman. November 7, 2016 1B Nate Freiman elected free agency. 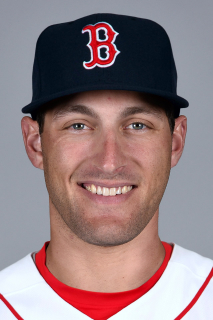 May 11, 2016 1B Nate Freiman assigned to Portland Sea Dogs. May 10, 2016 Boston Red Sox signed free agent 1B Nate Freiman to a minor league contract. April 21, 2016 Syracuse Chiefs released 1B Nate Freiman. April 5, 2016 1B Nate Freiman assigned to Syracuse Chiefs. March 27, 2016 Washington Nationals traded 1B Tyler Moore to Atlanta Braves for 1B Nate Freiman. December 29, 2015 1B Nate Freiman assigned to Gwinnett Braves. December 14, 2015 Atlanta Braves signed free agent 1B Nate Freiman to a minor league contract. December 14, 2015 Nashville Sounds released 1B Nate Freiman. December 14, 2015 1B Nate Freiman roster status changed by Atlanta Braves. July 5, 2015 Oakland Athletics sent 1B Nate Freiman outright to Nashville Sounds. July 2, 2015 Oakland Athletics designated 1B Nate Freiman for assignment. May 29, 2015 Nashville Sounds activated 1B Nate Freiman from the 7-day disabled list. May 16, 2015 Nashville Sounds placed 1B Nate Freiman on the 7-day disabled list retroactive to May 14, 2015. May 9, 2015 Oakland Athletics optioned 1B Nate Freiman to Nashville Sounds. May 4, 2015 Oakland Athletics sent 1B Nate Freiman on a rehab assignment to Nashville Sounds. September 2, 2014 Oakland Athletics recalled 1B Nate Freiman from Beloit Snappers. August 27, 2014 Oakland Athletics optioned 1B Nate Freiman to Beloit Snappers. August 3, 2014 Oakland Athletics recalled Nate Freiman from Sacramento River Cats. July 27, 2014 Oakland Athletics optioned 1B Nate Freiman to Sacramento River Cats. June 29, 2014 Oakland Athletics recalled Nate Freiman from Sacramento River Cats. March 23, 2014 Oakland Athletics optioned 1B Nate Freiman to Sacramento River Cats. October 12, 2013 Nate Freiman roster status changed by Oakland Athletics. October 4, 2013 Oakland Athletics reassigned 1B Nate Freiman to the minor leagues. March 23, 2013 Oakland Athletics claimed 1B Nate Freiman off waivers from Houston Astros. December 6, 2012 Houston Astros claimed Nate Freiman off waivers from San Antonio Missions. April 2, 2012 Nate Freiman assigned to San Antonio Missions from Lake Elsinore Storm. March 7, 2012 1B Nate Freiman assigned to San Diego Padres. April 3, 2011 Nate Freiman assigned to Lake Elsinore Storm from Fort Wayne TinCaps. April 2, 2010 Nate Freiman assigned to Fort Wayne TinCaps from Eugene Emeralds. March 10, 2010 IF Nate Freiman assigned to San Diego Padres. June 20, 2009 Nate Freiman assigned to Eugene Emeralds from San Diego Padres. June 15, 2009 San Diego Padres signed IF Nate Freiman.